Coram Children’s Legal Centre employs lawyers and experts in children’s human rights. Want to join the team? Check out our current vacancies. Neena is an accredited solicitor specialising in immigration and asylum law. She is experienced in representing clients at all stages of the immigration and asylum process, including initial applications, appeals in the First Tier and Upper Tribunals and the Court of Appeal. She has particular expertise and interest in judicial review challenges (her recent cases include challenges to the length of leave granted, refusals of fresh claims, deportation cases and unlawful detention). Neena has experience representing children, young people and families, including vulnerable clients. She has expertise in working with victims of trafficking and other human rights abuses, clients with mental health and learning difficulties. Neena qualified as a solicitor in 1997 at Edwards Son & Noice Solicitors (now Edwards Duthie) and has worked in immigration and asylum law since. Before joining CCLC Neena worked at Lambeth Law Centre. She started at CCLC in August 2018. Noel joined us in November 2012 as Director of Legal Practice. He heads up the team of lawyers in our Legal Practice Unit (LPU). Noel commenced his legal career as a caseworker at Hackney Law Centre while he read Law at King’s College London. He completed his training as a solicitor at a leading social welfare law firm; later becoming the deputy head of its children law department. Noel’s legal casework practice is in all areas of children law. Noel went on to become a partner at another legal aid law firm before joining us at CCLC. Noel is Co-Chair of the Association of Lawyers for Children, committee member of the Law Society’s Children Law Sub Committee and is a member of a number of other advisory and steering groups relating to children issues. Noel was the winner of the inaugural ‘Children’s Rights’ award at the 2015 Legal Aid Lawyers of Year Awards (LALYs) run by the Legal Aid Practitioners Group. He is currently a member of the LALY judging panel. Noel continues to take on children law cases from time to time although he spends most of his time supporting our LPU. He is accredited to the Law Society’s Children Law Accreditation Scheme. Noel is an independent costs assessor and independent funding adjudicator for the Legal Aid Agency. He has provided training and run seminars for a number of organisations on children law issues. He has had several articles published in legal journals and contributed to books on children law. He was the sole author of Children and Families Act 2014: Family justice under the new law and has a number of reported cases on issues of importance for children. Noel is very proud of the LPU and its hard-working and dedicated team of lawyers who help vulnerable children, young people and families every day. He steered the LPU through a process of accreditation which led the LPU to achieve Lexcel in 2016, which is the Law Society’s legal practice quality mark for excellence in legal practice management and excellence in client care. Machela is a paralegal with CCLC’s Legal Practice Unit. She started working with the Legal Practice Unit in July 2018. Prior to her role as a paralegal she worked as a Legal Advisor with the Child Law Advice Service for two years, from June 2016 – June 2018. She started in October 2015 as a volunteer for the Child Law Advice Service. Her role was to provide advice to young people and parents on family, child and education law. Machela obtained her LLB Law degree from the University of Essex in 2016. She went on to complete an LLM in International Human Rights at the University of Essex in 2016-2017. Keeley Creedy is a solicitor specialising in public law and community care law. She has a particular interest in public law, civil liberties and human rights. Keeley has gained considerable experience in representing young people in age disputes. She also has experience in education law and represents children who have been excluded, are out of school and with respect to their special educational needs. She works closely with a number of children’s charities, in particular CCLC’s partner charity Coram Voice. Keeley trained and qualified as a solicitor at Fisher Meredith LLP. She subsequently worked at Maxwell Gillott before joining Coram Children’s Legal Centre in 2014. Pia joined the education team in CCLC’s Legal Practice Unit in January 2019. Before joining the LPU she worked as a paralegal in community care and education Law at John Ford Solicitors. Having completed her LLM Qualifying Law Degree at Birkbeck School of Law in 2017, Pia gained legal casework experience as a volunteer at Liberty, Advocate (previously the Bar Pro Bono Unit), and Camden Community Law Centre. She is currently studying part-time for the Bar Professional Training Course at BPP University. Before studying law Pia worked as a special educational needs teaching assistant, and as a visiting creative workshop leader in nursery and primary schools throughout London. Emma recently graduated from the University of St Andrews with an MA Honours degree in International Relations with a special interest in human rights and international law. She joined CCLC in September 2018 as the new legal administrator. Michelle Elcombe joined CCLC in May 2016 as the Supervising Solicitor for the Children’s Pro Bono Legal Service. The service utilises the pro bono commitment of lawyers at DLA Piper and Allen and Overy to provide a free legal to service to children and young people to enable them to apply for and enjoy British citizenship. Michelle is responsible for training and supervising these lawyers and has been instrumental in developing the project and proving that this pro bono model works. The service has been recognised as a unique innovative model of pro bono provision of legal services. Michelle was previously a Partner and head of Immigration at Leonard Canning’s solicitors in Southampton, formerly Leonard and Co solicitors where Michelle also trained and qualified. Michelle has over 13 years’ experience specialising in immigration, asylum and nationality law. Michelle has experience representing children, young people and families at all stages of the immigration and asylum process including initial applications, appeals and judicial reviews. Kelly joined the Children’s Legal Centre in 2004 and assisted with the setting up, running and advising of what is now the Child Law Advice Line – a national telephone advice line which provides free legal advice over the phone and online on child, family and education law matters. She subsequently qualified as a solicitor in child law, family law, public law and education law in 2006. Kelly was previously head of the family team before taking a career break to have two children. Now working part time, Kelly represents children, parents and carers in the area of child and family law where she has a keen interest in judicial review cases. Although Kelly undertakes work across the field of family and child law, her specialism is in representing children and young people in matters involving local authorities. Her particular interest lies in ensuring that homeless young people are accommodated and supported by the relevant authority, whether that be social services or the council housing department, bearing in mind the duties of those authorities and the wishes and feelings of the young person, in addition to ensuring that those young people who have been in care are able to access all their entitlements until the age of 21 or 25. Kelly undertakes work on all areas involving the Children Act 1989 and Children Act 2004, including obtaining support services for children and their families from local authorities and placement moves for young people in care, leaving care legislation and contact and residence disputes. She has been involved in a precedent case: Carla Edwards v General Register Office  EWHC 2380 (Fam), involving a declaration of parentage. Kelly has written for Children & Young People Now and appeared on a number of regional and national television programmes and radio stations. She works on Tuesdays, Wednesdays and Fridays and is based in CCLC’s Colchester office. Sophie Freeman is an accredited supervising solicitor specialising in immigration, asylum and nationality law. 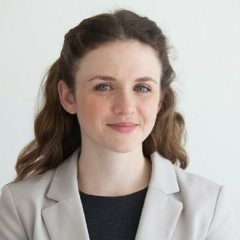 Sophie has experience representing children, young people and families at all stages of the immigration and asylum process, including initial applications, fresh claims, appeals and judicial reviews. Sophie has particular expertise working with young people with mental health problems. She regularly represents victims of trafficking and young people at risk of persecution as a result of their sexual orientation or gender identity. She also has a particular interest in representing young people facing deportation from the United Kingdom as a result of their criminal convictions. Sophie also undertakes strategic litigation on behalf of the Legal Practice Unit. She, along with Jane Barrett, had conduct of CCLC’s intervention in the case of R (SM & Others) v Secretary of State for the Home Department  EWHC 1144 (Admin) in which the High Court found the then Home Office policy on Discretionary Leave to be unlawful because it did not allow the proper consideration of children’s best interests when deciding the duration of leave to remain to be granted to them. As well as her casework within the Legal Practice Unit representing individuals and families, Sophie works closely with the Migrant Children’s Project, contributing to the MCP’s policy work and training programs. She also speaks regularly at the monthly legal advice meetings held by the UK Lesbian and Gay Immigration Group. In October 2016, Sophie wrote the immigration and asylum section of the Legal Action Group’s special publication entitled, ‘Use it or lose it: children and legal aid’. In July 2018, Sophie was named ‘Legal aid lawyer of the year‘ in the social and welfare category. Sophie trained and qualified as a solicitor at Fisher Meredith LLP, where she gained valuable experience in children law and community care law, as well as immigration and asylum law. She joined CCLC in June 2012. Sanchit is a senior paralegal with CCLC’s Legal Practice Unit. He started working with the LPU in September 2018. Prior to his role as a paralegal he worked as a Special Educational Needs Tribunal Officer for Birmingham City Council from March 2017 – August 2018. He initially joined Birmingham City Council in January 2016 as an Education, Health and Care Plan Case Officer. Sanchit obtained his LLB Law degree from Coventry University in 2014 and went on to complete the Legal Practice Course in 2015. Hazel Kent is a solicitor specialising in family/ child law, community care law, education law and associated discrimination law matters. Hazel is experienced in representing vulnerable children, young people and families. She regularly deals with complex children cases frequently involving differing areas of law and across different jurisdictions. She often undertakes her own advocacy on her cases to assist clients throughout the progress of their case. Hazel initially joined CCLC’s International Team in 2011 and in 2012 moved over to CCLC’s Legal Practice Unit to undertake casework. She has a Politics BA from Nottingham University, following which she undertook a law conversion and then went on to complete the Bar Professional Training Course to qualify as a Barrister-at-Law at City Law School. Whilst working at CCLC, Hazel completed her Legal Practice Course and qualified as a solicitor. Hazel also contributes to the Policy department’s work on family law, in particular with her work on the Children and Families Act 2014 and most recently research and training for professionals on the law surrounding paternity. Reported cases: A Local Authority & Anor v MC & Ors (Care proceedings) (Inherent Jurisdiction)  EWHC 370 (Fam), Re N (Children)  EWCA Civ 656, N (Children)  EWCA Civ 1381. Helen is a solicitor specialising in community care law. Helen worked for several years in the domestic violence sector prior to qualifying as a solicitor in 2015. Following qualification she worked at Hammersmith and Fulham Community Law Centre and then South West London Law Centres where she specialised in community care and housing law. Helen also has experience of representing clients in welfare benefits appeals in both the First Tier and Upper Tribunal. 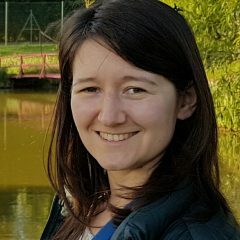 Helen joined CCLC in March 2018. Helen has an MA in Gender Studies, and volunteers as a Duty Scheme Advocate for the Asylum Support Appeals Project. Qaisar specalises in education law and associated discrimination matters at Tribunal and County Court. Although he primarily undertakes work in these areas, he also practices child and family law, having a special interest in child care proceedings. Qaisar joined Coram Children’s Legal Centre in 2010 as a paralegal, for what is now called the Child Law Advice Service. In 2011 he took on the role of Deputy Team Leader where he supervised a team of advisors. During this time, he also provided advice in child, family and education law matters. He later joined the education team as a caseworker and gained extensive experience in appeals related to special education needs, discrimination (under Equality Act), and judicial review of Local Education Authorities. He has provided advocacy to clients at the First-tier Tribunal. Qaisar commenced a training contract in 2014, and subsequently qualified as a solicitor in 2016. In the same year, he achieved the Legal Aid Agency’s supervisor standard in education law. Since April 2017, Qaisar has managed the Education Law Team, a branch of our Legal Practice Unit. He provides supervision to all caseworkers undertaking education law and associated discrimination law matters whilst overseeing the operations of the department. During his time at CCLC, Qaisar has provided assistance to a number of charities including Dadtalk, Family Lives and Citizens Advice Bureaux. He has established good working relations with other organisations that provide services to children and families, such as IPSEA and CCLC’s partner charity, Coram Voice. Qaisar obtained his LLB (Hons) degree from the University of Essex in 2007 and completed his post-graduate diploma in Legal Practice at the University of Law (formerly the College of Law) in 2009. Before joining CCLC, he gained legal experience through voluntary work at a number of organisations. Eleanor is an accredited solicitor specialising in immigration and asylum law. Eleanor is experienced in representing children, young people and families at all stages of the immigration and asylum process, including initial applications, appeals in the First-tier and Upper Tribunals, fresh claims, and judicial reviews. Eleanor has a particular interest and expertise in representing vulnerable clients in their asylum and human rights claims, including victims of human rights abuses, victims of trafficking, unaccompanied children and care leavers, and those with mental health difficulties. 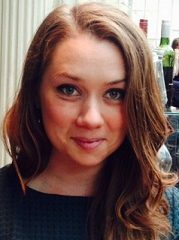 Eleanor started working as an accredited caseworker in immigration and asylum law at Wilson Solicitors LLP in January 2013, and went on to qualify as a solicitor there in October 2016. She joined Coram Children’s Legal Centre in May 2018. Jessica Whitehead is a solicitor specialising in community care and public law. She is experienced in representing vulnerable children and young people across the spectrum of community care law, including obtaining assessments of needs and provision of support and accommodation. Jessica has successfully represented looked after children and children leaving care or custody who need support and accommodation. She has particular experience representing unaccompanied asylum-seeking children whose ages have been disputed, who have been unlawfully detained in adult immigration detention, or who have mental health difficulties, as well as victims of trafficking. She also acts for children who have been excluded from school, are not receiving suitable full-time education or have special educational needs. She works closely with a number of charities including CCLC’s partner charity Coram Voice and charities such as the Refugee Council. Jessica trained at Fisher Meredith LLP, where she qualified as a solicitor in September 2008, having gained particular experience in children law, public services and education law. She later worked at Maxwell Gillott, where she developed her expertise in community care and public law, before joining CCLC in 2014. Reported cases: VS v the Home Office  EWHC 2483 (QB); R (E) v Secretary of State for the Home Department  EWHC 1927 (Admin); R (N) v Staines Magistrates’ Court  EWHC 3081 (Admin). The Child Law Advice Service is staffed by fully trained paralegals specialising in family, child and education law. They all hold a legal qualification, having completed law degrees, legal practice courses or specialist paralegal courses. Our staff come from a variety of backgrounds including having worked in Citizen Advice Bureaux or other legal firms. All our advisers are trained in customer service, call handling and digital communication. For information and advice on issues of Child, Family and Education Law please the Child Law Advice Service’s dedicated website www.childlawadvice.org.uk. Rosalind is a solicitor specialising in immigration, asylum and nationality law and issues relating to access to support, housing, health care and education for children, young people and families affected by immigration control. Rosalind is experienced in working with children, young people and families at all stages in immigration, asylum and nationality processes, including in initial applications, appeals and judicial reviews. Rosalind does outreach work across several London boroughs, offering legal advice to children, young people and families on immigration, asylum and nationality law. She trained at Fisher Meredith where she worked in immigration, housing and police and prison law, before joining CCLC in October 2013. Rosalind was seconded to the Greater London Assembly, working on the Citizenship and Integration Initiative, for a year from April 2018 to March 2019. Kamena Dorling is Group Head of Policy and Public Affairs at Coram, leading the group’s policy advocacy. Kamena also currently runs the Migrant Children’s Project, which promotes the rights of children affected by immigration control in the UK. She has worked on children’s rights and issues facing refugees and migrants for over fourteen years, including at the Freedom from Torture, and as Assistant Director of Women for Refugee Women. She has an LLM in International Human Rights Law. Kamena co-chairs the Refugee Children’s Consortium, a group of over 50 organisations working to promote and protect the rights of refugee children, and the National Asylum Stakeholder Forum Children’s subgroup with the Home Office. She is a trustee of Shelter. Alison East is a solicitor working Monday – Thursday answering queries on immigration and welfare matters by telephone and email for the Migrant Children’s Project Legal Advice Line. Alison trained as a social welfare lawyer at Hammersmith Law Centre and has a broad-based legal background encompassing welfare rights, community care, housing and public law as well as immigration. 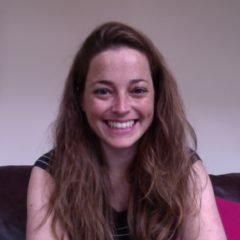 Chloe Evans is an immigration adviser accredited under the IAAS at level 2 and at level 3 of the OISC in asylum and protection. She has experience working with children, young people and families at all stages of the immigration and asylum process. She also has experience working with clients held in immigration detention. Chloe is currently working on our outreach project at Hackney Migrant Centre and our outreach programmes in South London, providing advice to young asylum seekers and refugees. Chloe started working as an accredited caseworker at Elder Rahimi Solicitors and then went on to work at Wilsons Solicitors LLP, before joining CCLC in October 2018. Jessica Evans is a solicitor specialising in immigration, asylum and nationality law. She has represented clients at all stages of the immigration and asylum process – from initial applications, to appeals and judicial review proceedings. Jessica is currently working on an outreach project in North East London, providing advice to destitute families, children and young people on immigration, asylum and nationality law. Jessica trained at Fisher Meredith solicitors where she worked in immigration and children law, before joining CCLC in June 2016. Anita Hurrell manages CCLC’s Migrant Children’s Project, which promotes the rights of children and young people affected by UK immigration control, and is responsible for providing legal guidance and delivering training to professionals in the statutory and voluntary sectors. She contributes to CCLC’s policy work, particularly on the issue of legal aid. Anita has worked in the field of immigration since 2008, including as Senior Researcher at the think tank Policy Network and as a Caseworker at the legal charity Refugee and Migrant Justice, where she primarily represented clients in detention and unaccompanied children. Anita was seconded to the Greater London Assembly, working on the Citizenship and Integration Initiative, from April 2017 until April 2018. 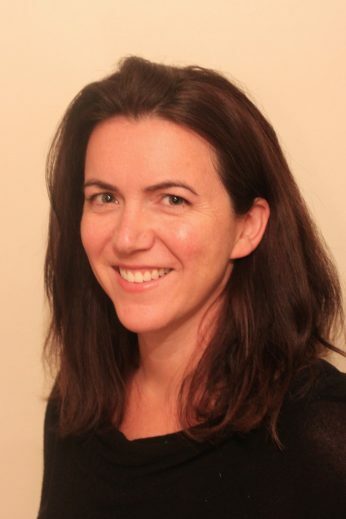 Marianne Lagrue is Policy Manager at Coram Children’s Legal Centre. She works in CCLC’s Migrant Children’s Project and contributes to CCLC’s policy work on children’s rights and access to justice. She has co-authored Rights without Remedies: legal aid and access to justice for children (2018) and ‘This is my home’: Securing permanent status for long-term resident children and young people in the UK (2017). She is also responsible for CCLC’s digital content, the monitoring and evaluation of the MCP’s programmes, and the operation of the project’s training programme. Marianne manages youth involvement in the work of the MCP, and runs CCLC’s Youth Rights Trainers scheme. Marianne has past experience as a Parliamentary researcher in the House of Lords, as an assistant caseworker for an MP and as a political consultant. She has an MA in Media and International Development. Marianne joined CCLC in September 2015. Stewart MacLachlan is Senior Legal and Policy Officer for the Migrant Children’s Project, part of Coram Children’s Legal Centre. He leads on the project’s training and legal guidance, as well as contributing to the policy work of the project. He is co-author of Seeking Support (fifth edition), a guide to working with separated children and young people. 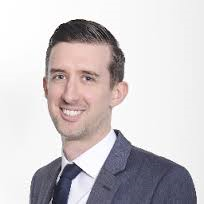 Stewart is a practising Scottish solicitor, qualifying in 2010, and is accredited as a level 2 supervisor under the Immigration and Asylum Accreditation Scheme in England. He previously worked at an immigration firm in Nottingham, and worked for over 4 years in law centres in Scotland. He is on the Board of Trustees at the Scottish Child Law Centre. Khadija works as the Legal Intern in CCLC’s Migrant Children’s Project (MCP). She supports the MCP with legal research, exceptional case funding (ECF) applications, case referrals and database management. The Youth Rights Trainers are young people aged 18-25 with lived experience of the UK immigration and asylum systems who are accredited to co-deliver training alongside the MCP’s solicitors. To see our trainers in action, book one of our training courses. Sheree Clark is Legal Cashier and Colchester Office Manager. Sheree joined Coram Children’s Legal Centre in 2008 as an accounts assistant for the charity. Sheree has a number of years’ experience and has spent her career in finance-based roles. In 2011 Sheree took over the role of Legal Cashier for CCLC’s Legal Practice Unit and in January 2014 has taken on the additional role of Office Manager of CCLC’s Colchester office. Maddy Verrier is Receptionist/Administrator for Coram Children’s Legal Centre Colchester office. 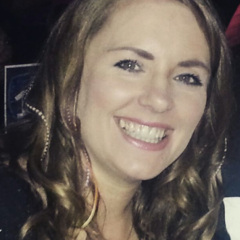 She joined the charity 2015 where she has completed her NVQ in Business & Administration. Maddy works alongside Sheree in the Finance Office and is the voice you will hear when you contact the Colchester office.